FYI, I write extensively, having published The SHIFT-IT eZine since 2004. For additional articles: eZine Archives. To listen, rather than read: Audio Archives or subscribe to SHIFT-IT Podcast. For videos: SHIFT-IT Coach YouTube. For social media, I’m most active on my personal Facebook page. Are You Foolish to Want to Use Innovative Methods? Are You Working For Light Or Dark? The History of the Graphic Facilitation and Graphic Recording Fields. 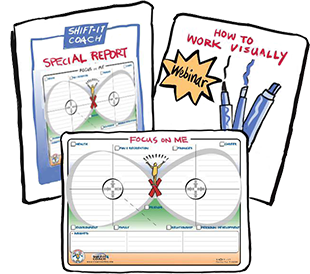 What is a Visual Practitioner? 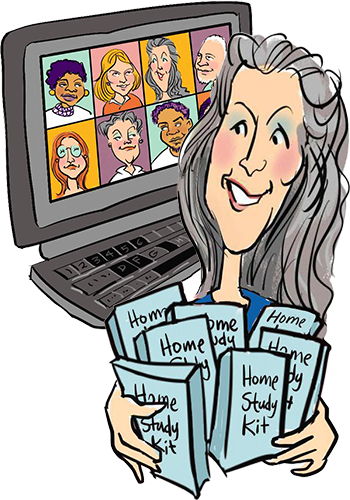 The Benefits of Graphic Facilitation, More Than Just Pretty Pictures? Yes Virginia, There is a Santa Claus … You! Is It Procrastination or Right Timing? Re-distribution: You are more than welcome to re-distribute articles as long as they remain fully intact (no changes or excerpts please) and include author bio with links. Author’s Bio: Christina Merkley, “The SHIFT-IT Coach” and creator of the SHIFT-IT System®, is a Visioning and Strategic Planning Expert specializing in Visual Thinking and Energy Alignment techniques. Based in charming Victoria, British Columbia, Canada, she works deeply with individuals, partners and conscious businesses to define and manifest what you truly want. And, trains other Process Professionals in her innovative ways of working. For more information visit: www.shift-it-coach.com and www.visualcoaches.com.